What Is The Most Expensive Video Game Console Of All Time? The First Commercially Viable Strain Of Penicillin Was Created From Mold Found On A? 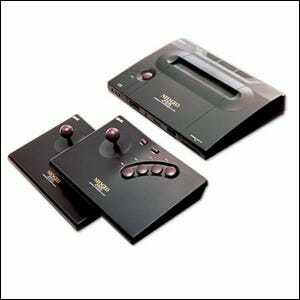 The Neo Geo console was part of the fourth generation of gaming consoles and a product of Japanese game company SNK. On its release in 1990 it had a hefty $649.99 price tag. SNK’s pricey offering was more than three times as expensive as other fourth generation consoles; the Super Nintendo Entertainment System (SNES) retailed for $199.99 and the Sega Genesis retailed for $189.99. Not only was the Neo Geo the most expensive console of its generation but both on its release date and over time it can boast the highest price tag. When adjusted for inflation the Neo Geo’s already high historical MSRP balloons to a whopping $1,138, making it the most expensive commercial game console of all time. In fact, if you guessed a more recent console was the most expensive–such as the PlayStation 3 or Xbox 360–you wouldn’t have even broken into the top 5 most expensive consoles. While modern consoles seem expensive with their price tags in the low hundreds, when adjusted for inflation the earliest consoles were by far the more expensive. Trailing the Neo Geo in first place, we find the 3DO ($599 in 1996, $1,113 adjusted), the Intellivision ($299 in 1979, $948 adjusted), the Atari 5200 ($270 in 1982, $782 adjusted), and Atari 2600 ($199 in 1977, $756 adjusted). If nothing else, the video gamers of today should be thankful it doesn’t take $1,000 to break into the hobby.